Welcome to Faith Lutheran’s Podcast Series. 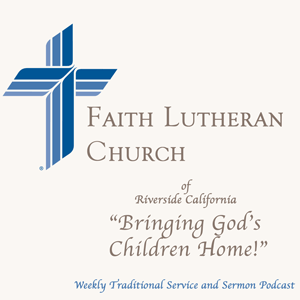 By clicking on the link below, you will be able to listen to Faith Lutheran’s Traditional Lutheran Service in its entirety or just choose to hear Pastor Paul Wenz’s weekly sermon. (The administrator for Podcasts has not been available, however we will be restarting the weekly sermons below, along with weekly Bible Studies by Pastor Wenz on the Bible Study page). To listen to past services, follow the link below and click on the podcasts title.